THE significant achievements in the current massive $30bn investment in the African downstream have been in logistics, distribution, storage terminals, import facilities and retail marketing. The investment is most evident in countries such as Nigeria, South Africa, Morocco and Angola, according to speakers at the 14th annual conference in Cape Town of the African Refiners and Distributors Association (ARA) held this week. 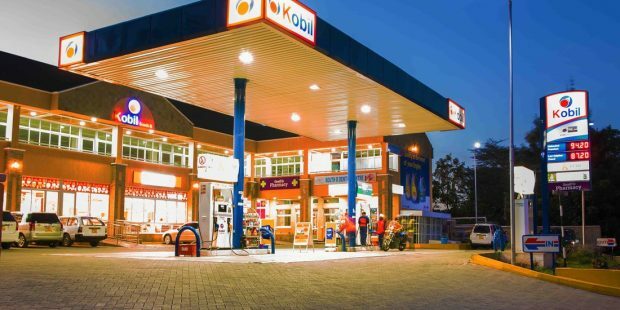 Africa has been identified as arguably the only place in the world where demand is steadily growing, at around 4 percent a year in gasoline and diesel, because of the massive growth in the continent’s economies. The growth is attributable in part to a significant increase in population, while efficiency, communications, and growth in GDP are leading to more expenditure on energy. In the refining sector, that has faced many challenges, there are green shoots of investment; most notably the huge Dangote Refinery in Nigeria, which is progressing fast, with refining units soon to be installed. On completion, this facility will massively alter the profile of fuel supply in Africa, but it will, in effect, just slow down the level of imports that remain essential as the continent continues to grow. But Dangote is not the only investor in refining. In Egypt, Africa’s largest refiner, EGPC outlined its massive investment programme for its eight refineries, in addition to the imminent start-up of the privately financed $4.5bn project at the Egyptian Refining Company (ERC). Algeria too has been investing heavily in upgrading its refining system. Keynote speaker at the conference, Minister of Energy of Cote d’Ivoire, Abdourahmane Cissé, presented the €600 million new finance package for the SIR refinery in Abidjan and announced the planning for upgrades to meet the ARA’s AFRI-4 specifications. Also under the spotlight was the rapidly progressing Uganda Refinery. Other topics extensively discussed by the active 600 participants were an idea presented by Tope Shonubi, CEO of Sahara Energy, to develop an African ‘brand’ to encourage tearing down of barriers to trade, and the endorsement of ARA’s ongoing work with regional economic communities and the African Union, to harmonise gasoline and diesel specifications. Human capital and Corporate Social Responsibility were also high on the agenda. Many speakers stressed the need to encourage the recruitment of more women into the growing African energy business – as well as the need for more training. The African Refiners and Distributors Association (ARA) was formed in 2006 to provide a pan-African voice for the African oil refining and distribution industry. The ARA annual conference is the premier meeting place for downstream oil in Africa.